Keep your equipment running to OEM standards with J2S Medical. 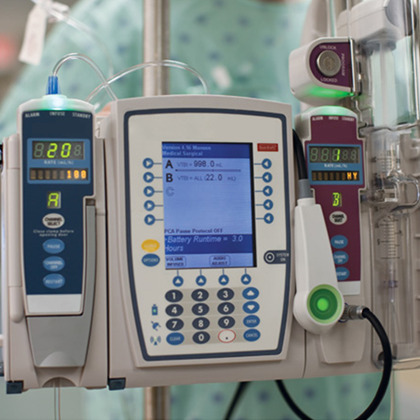 We provide Infusion Pump repair as well as preventative maintenance and board repair. All testing procedures performed by J2S Medical are done utilizing OEM-Approved Test Equipment, which are routinely tested and calibrated for accuracy. Get your equipment back to “patient-ready” condition today!